Online casinos offer many keno games to play online. Some of the Keno games are classic keno board games and many keno come in the form of pokies games. These games are powered by top notch gaming software companies like Microgaming, NetEnt, Betsoft, Real Time Gaming and more. 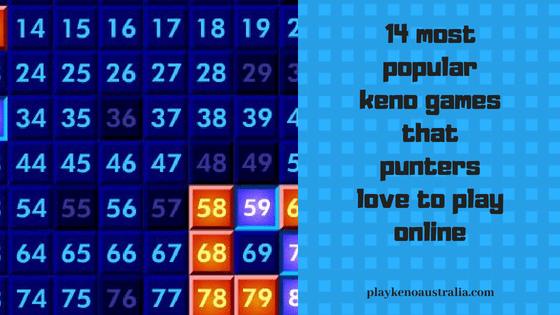 Here are the 14 most popular keno games that punters love to play online. Remember that these games are available at many Aussie friendly casinos and can be played with mobile or PC with a good WIFI connection. It is your choice to play these games for free without any real money deposit or play with real cash in your own currency that is AUD or Bitcoins. 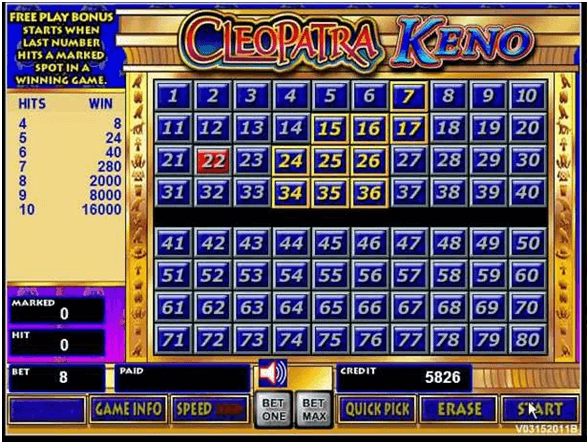 Cleopatra Keno is an exciting and most popular video keno game with a free play bonus if the last number drawn hits a marked spot in a winning game. The bonus is 12 free plays where any wins are multiplied by two. You can get this app for free even at app stores to download on your mobile and play for free. 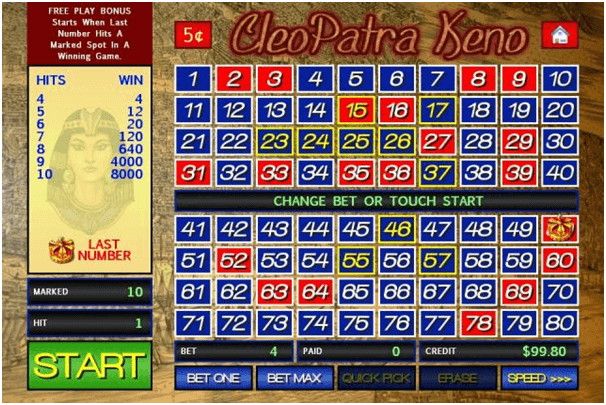 4 card Cleopatra Keno is same as Cleopatra Keno only that it is now available with four card play! The game has the same odds and payouts as in the casino with multi denomination machines. You choose from 1 cent up to 1 dollar per credit with a max bet of 10 per keno card. This is the variation of Caveman Keno Game with four card to play. 4 card Caveman Keno features unlimited play! This game is also available at app stores as an app for mobile to play for free. It plays like regular keno, except it adds the possibility of multipliers and extra balls. Of course, the cost for that is a lower base pay table. 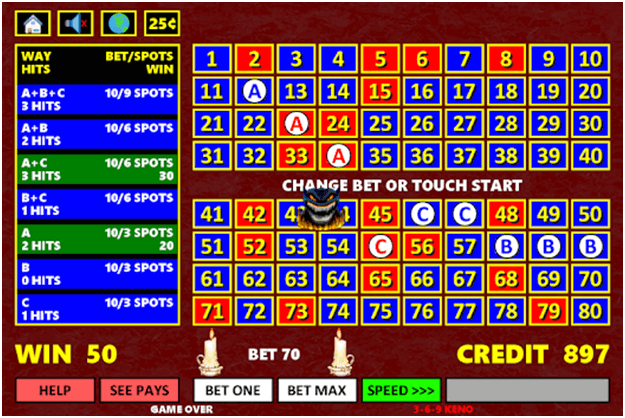 The player makes a bet and chooses 2 to 10 numbers from 1 to 80. When the player is done, the game randomly picks three of the unpicked numbers and marks them with eggs. The game will then randomly pick 20 numbers from 1 to 80. The player’s base prize will pay according to how many of the balls drawn by the game match those chosen by the player. If the game chooses a number with an egg, then that egg will hatch. If exactly two eggs hatch, then any win will be multiplied by 4. If all three eggs hatch, then any win will be multiplied by 8. Caveman Keno is an extremely fun game that casino lovers enjoy as it’s a cool variation over standard keno with robust graphics and pleasurable ancient sounds. 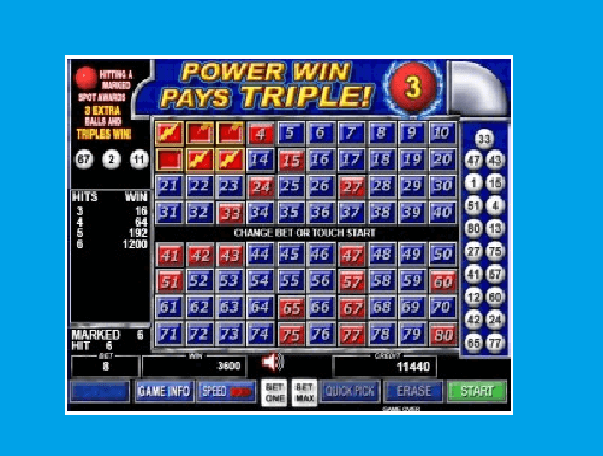 The game chooses three numbers before the draw and if at least two of them match the 20 numbers drawn then the player will win a multiplier. 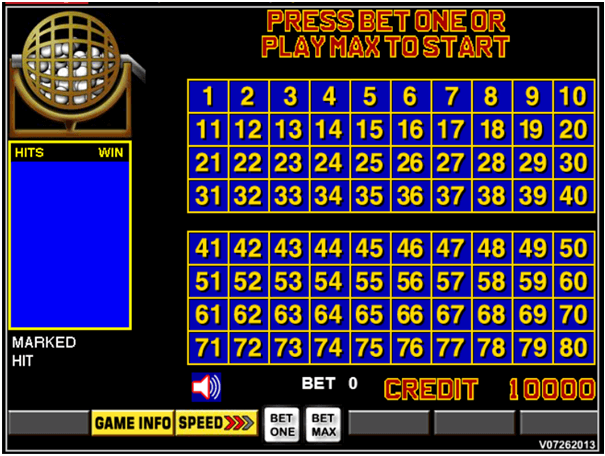 The player chooses from two to ten numbers, ranging from 1 to 80, as in regular keno. The computer will draw three three numbers at random among the numbers the player did not pick. These three numbers will be marked with dinosaur eggs. The computer will then draw 20 numbers, ranging from 1 to 80, as in regular keno. 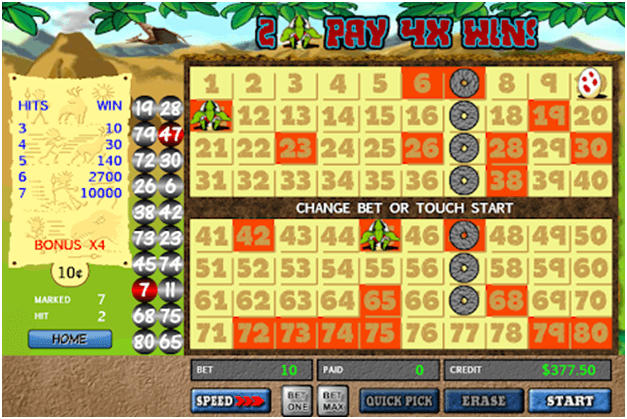 The player will win depending in part on the number of the player’s picks that match the 20 numbers chosen by the RNG. 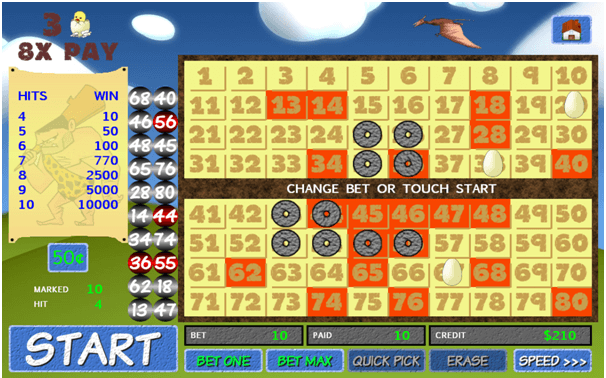 The player will get a multiplier according to the number of eggs that match the 20-ball draw. The usual multipliers are 1x for 0 or 1 match, 4x for two matches, and either 8x or 10x for three matches. Usually 8x. The player’s win will be the product of the win according to the pay table and the multiplier. 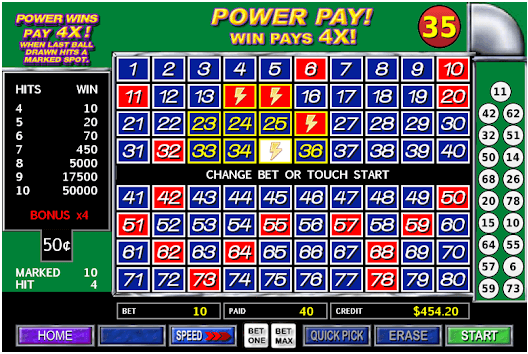 Triple Power Keno is a keno variation on a multi-game machine. It plays like conventional keno, except if the last ball is one of the player’s picks, then the player gets three extra balls and any win is tripled. In this game when the last ball drawn hits a marked spot, earn a Power Win worth 4X. The player chooses 2 to 10 numbers from 1 to 80. The game will randomly choose 20 numbers from the same range of 1 to 80. The player is paid to number of his picks that match the numbers drawn by the game. If the first number drawn is a match then any win will be quadrupled. This is a classic Keno with a great Bonus feature. After rounds with a certain number of matching numbers, you have the option to make an additional 4 credit bet and draw 3 more numbers to increase your winnings! 246 Way Keno is a keno variation with unique win combinations matching spots that correspond to lettered number selections. This is a simple game to play, as it works like a lottery; place a bet and mark 6 numbers. Your picks are automatically converted into 7-way tickets that allow you to win with several different combinations. Press Start and 20 numbers are randomly selected out of 80. If you hit enough numbers you win, and for ultimate jackpots you have multiple ways to win at once. 369 Way Keno is a keno variation with unique win combinations matching spots that correspond to lettered number selections. 3-6-9 Keno lets you play 7 different ways on one keno ticket. Pick 9 numbers and the possibilities of receiving paybacks are increased over the standard video keno. 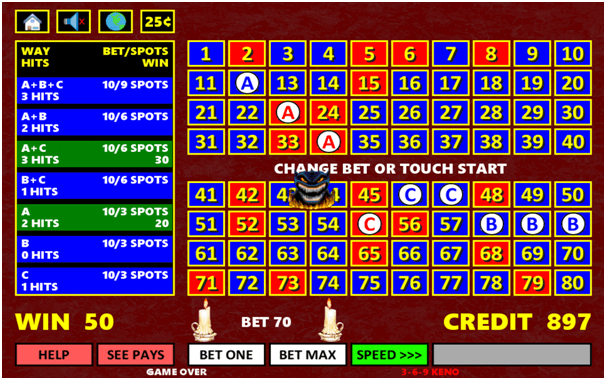 4 Card Keno is a classic casino game that is fun and easy to learn. 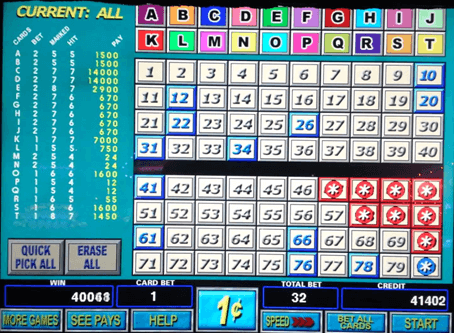 Players select a bet amount and choose between 2 and 10 numbers on their Keno card. 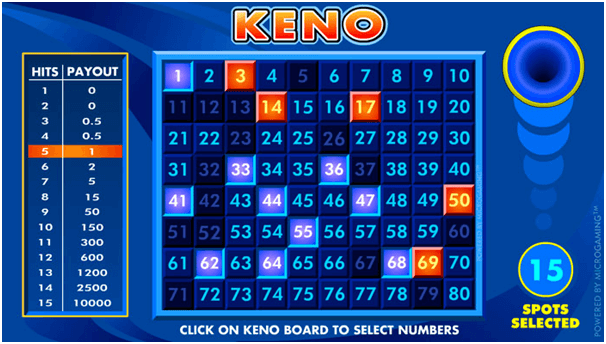 Numbers are then randomly drawn and appear on the keno card as they are drawn. The more numbers you pick correctly, the more you win! Just like classic keno, only you can play on four cards at the same time. Super Way Keno is a keno variation with unique win combinations matching spots that correspond to lettered number selections. Multi-Card Keno gives the ability of playing up to 20 cards at once for the ultimate jackpot payouts. Multi Card Keno is a simple game to understand, as it works like a lottery; pick a card, place a bet and mark 2-10 numbers. Choose another card and pick more numbers or alternatively play a single card all the way up to 20 cards at once. Press Start and 20 numbers are randomly selected out of 80. If you hit enough numbers you win, and if the draw pays on multiple cards you have supreme paybacks. Classic keno is casino game that is fun and easy to learn. 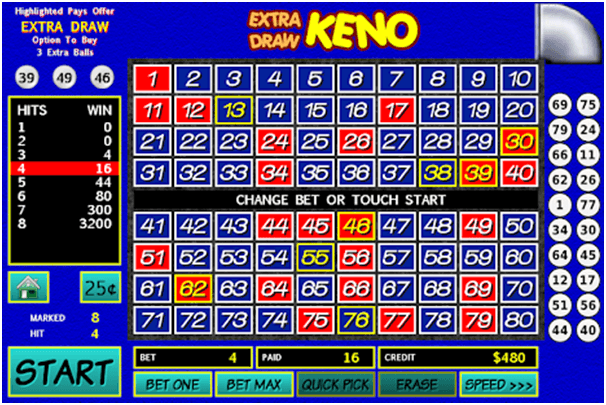 Players select a bet amount and choose between 2 and 10 numbers on their Keno card. 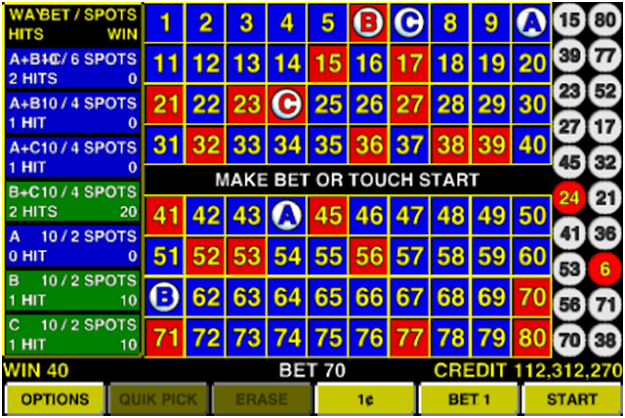 Numbers are then randomly drawn and appear on the keno card as they are drawn. The more numbers you pick correctly, the more you win. 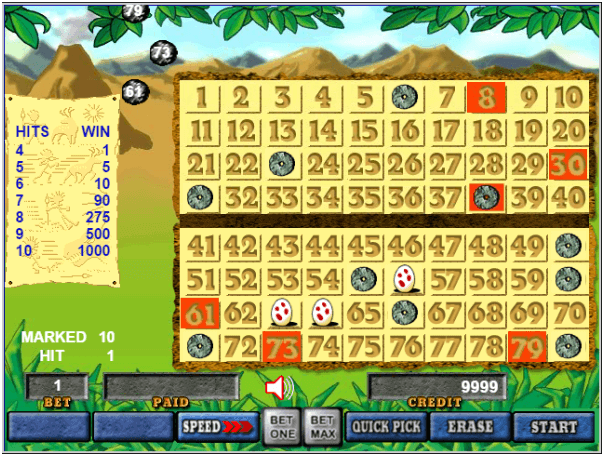 Now enjoy all these popular keno games at online casinos. Also these games are available in the form of apps at app stores for iOS phones and at Google Play for Android phones to play for free.